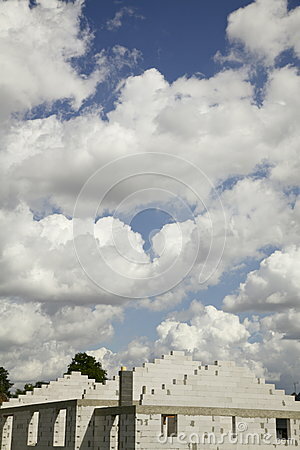 This picture shows a big billow of white clouds above a white unfinished brick building. It was taken on a sunny summer day in Poland. The house looks like it's meant to be a family house.